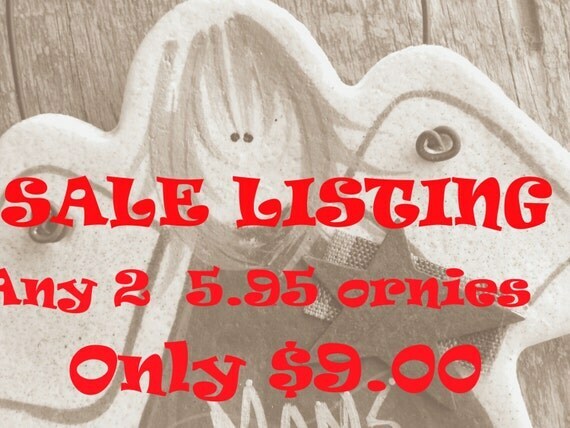 SALE / Choose this listing for 50% off your second salt dough ornament of at least 5.95 regular price! Let me know in "message to seller" at checkout which ornaments you'd like, or send a convo. *Offer does not exceed the value of 1 free ornament.